Exposure of infants was a common practice in the Roman Empire, with newborn children typically abandoned at trash heaps and dung hills. Typical reasons for leaving these babies to die were economic circumstances, physical problems, embarrassing parentage, or even simply the fact that the baby was a female. Wealthy families even commonly practiced exposure in order to protect the inheritance of their older children! Although by this time the burning of children at the “Gates of Hell” was a distant memory (universally abhorred), the early Church clearly considered infant exposure to be equally abhorrent. Coupling the words of Jesus with Old Testament scriptures such as Ezekiel 16, the first Christians frequently rescued abandoned babies (Proverbs 24:10-12), risking their lives in obedience to Christ’s “salt and light” mandate. Even if the babies were already dead or dying, these Christians refused to allow their bodies to be discarded with the trash, instead providing the babies with the dignity of a Christian burial. Babies who survived were placed with Christian families, monasteries or convents. 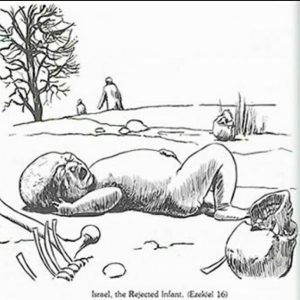 These radical acts of demonstrating respect for the babies of the heathen transformed pagan Roman society, overthrowing its foundational sin of child abandonment. The transformational key to these Christians’ behavior was simple yet profound: they merely treated the discarded babies as persons, demonstrating love to their smallest neighbors. Through their courageous, compassionate acts, the early Church fulfilled its foundational agenda: in the face of seemingly insurmountable persecution, these “lambs in the midst of wolves” demonstrated indeed that the gates of Hell did not prevail against His young Church.